Standard units include: translucent roof, roomy interior, maximum ventilation, interior lock, occupancy indicator, optional hand sanitizer dispenser, various colors, some lighted. Suited for special events, or long-term rentals. 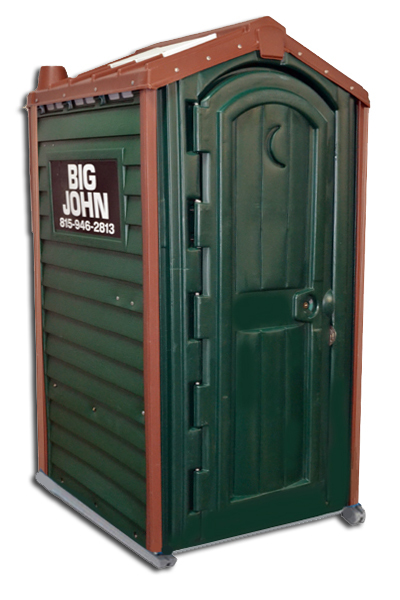 Also available in pink and the popular "log cabin" style. Measures 45" wide, 45" deep, and 88" tall. We have the OSHA 10-hour certification, along with all state and county health department licenses.